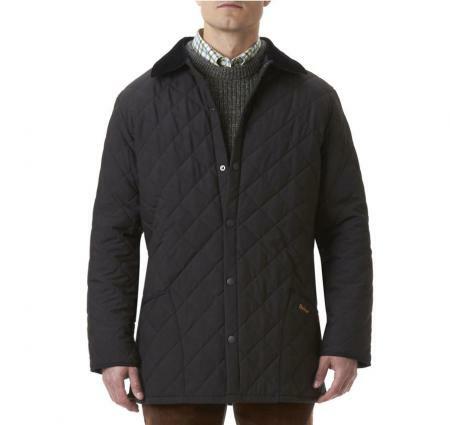 The Eskdale quilted jacket by Barbour is an established and well-loved Barbour garment. This jacket is ideal for the outdoor life. The Eskdale quilted jacket is very familiar to old Barbour wearers, in its quilted polyester microfibre construction with peach skin finish outer and 100g polyester wadding. PLEASE NOTE:- The Eskdale is longer and lighter than previously and is VERY generous in size, to fit nicely over showing, sports or hacking jackets. There is a zipped inside pocket and the familiar corduroy collar. The length of the Eskdale Quilted Jacket is 32-35 inches (81.5-89cm). Make your choice of chest size from the pull down menu below. Available in; black, dark brown, navy and forest green to complement Barbour's range of clothing.SALE!